Caring.com has helped thousands of families find high-quality senior care. To speak with one of our Family Advisors about memory care options and costs in Alpine, call (855) 863-8283. Nestled in the Cuyamaca Mountains of San Diego County, Alpine is populated by some 16,500 residents, including nearly 2,900 seniors aged 65 or older. Within Alpine and other unincorporated communities in the county, 14,513 adults were living with Alzheimer's disease in 2015, and that figure is expected to surpass 20,000 by 2030. 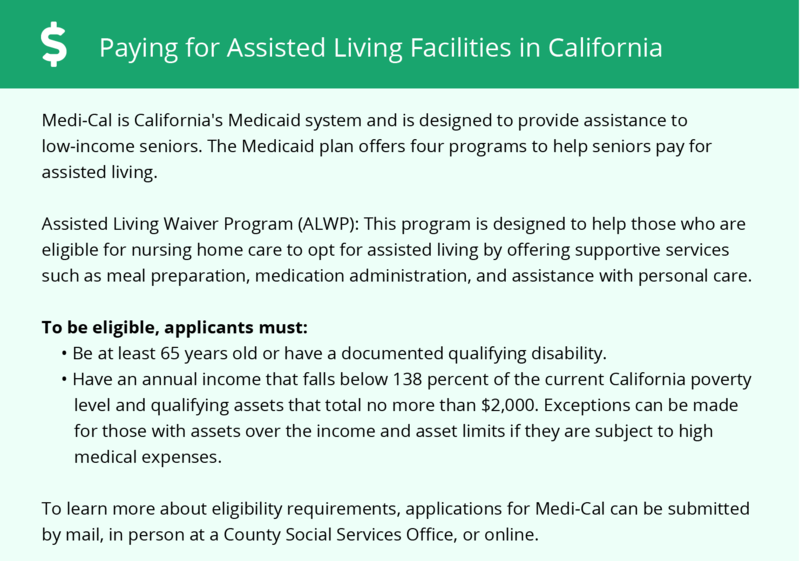 The California Department of Public Health oversees the licensing of assisted living facilities, which the state calls residential care facilities for the elderly (RCFEs). Alpine has a single memory care facility, but nearby communities in San Diego County have more than 70 from which to choose. Due to its Southern California location, Alpine receives no snowfall and 24 inches less rain than the national average. Additionally, 262 days of sunshine combined with summer highs of 89 and winter lows of 42 earn this city an outstanding comfort rating of 88, which may benefit seniors. Alpine's air quality is average to poor. It received a C grade for particle pollution and an F for ozone, which could affect the health of seniors with respiratory impairments. 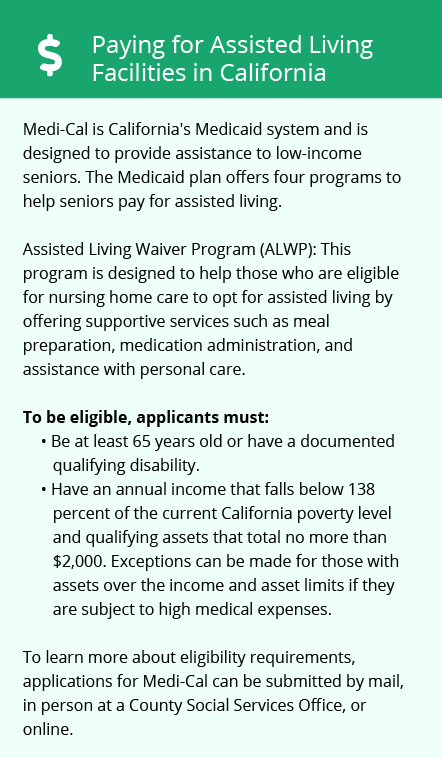 This is something that may be taken into consideration before placing a senior in an RCFE in Alpine or San Diego County. Compared to the U.S. median of 100, Alpine's cost of living is 82 percent higher. While housing is three times more expensive than the national average, healthcare is 12 percent more affordable. These factors can influence the cost of services offered by RCFEs in the Alpine area. With a property crime score of 38.8 and a violent crime score of 37, Alpine is as safe as the typical American city. This is based on a scale of one to 100 with 100 being highest in crime. Although these numbers are very near the national averages of 38.1 and 37, it's still wise to ask potential RCFEs about what type of security is provided for residents. Memory Care costs in Alpine start around $0 per month on average, while the nationwide average cost of memory care is $4,799 per month. It’s important to note that memory care rates in Alpine and the surrounding suburbs can vary widely based on factors such as location, the level of care needed, apartment size and the types of amenities offered at each community. Alpine and the surrounding area are home to numerous government agencies and non-profit organizations offering help for seniors searching for or currently residing in an assisted living community. These organizations can also provide assistance in a number of other eldercare services such as geriatric care management, elder law advice, estate planning, finding home care and health and wellness programs. To see a list of free memory care resources in Alpine, please visit our Assisted Living in California page. Alpine-area assisted living communities must adhere to the comprehensive set of state laws and regulations that all assisted living communities in California are required to follow. Visit our Memory Care in California page for more information about these laws.